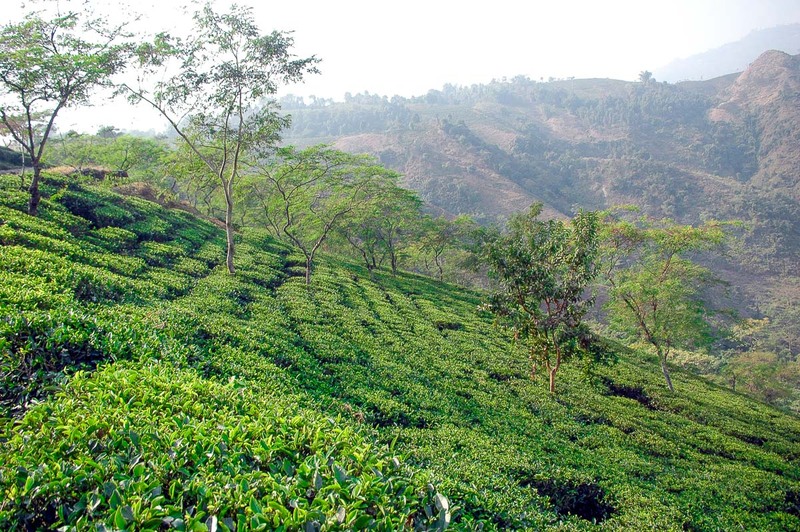 For Darjeeling, this is a year where high quality teas are few and far between. Darjeeling is having a challenging year. I recall the excellent crop in 2015, tasting though an abundance of high quality 1st flush teas and being excited to find some of the best we’d ever tasted. By contrast, 2017 has been a challenge. Over the course of April, we searched hard for quality teas to meet our standards, turning down one tea after another. Then came a single stand out batch. Ex11 from Gopaldhara was a near miracle, concentrated in flavour after a cold snap before picking, and made from the plants which the British originally brought to India from China. It was possibly the fruitiest Darjeeling we’ve tasted to date. Then entire 36kg batch is part of the Lalani & Co collection. We’ve subsequently bought two 2nd flush Darjeelings; one oolong and one black tea. Both are presently stuck in Darjeeling, a result of the current strikes and political unrest which has halted much of the commercial activity in the region. We hope to have them soon. The upshot is that 2017’s 2nd flushes will be much delayed and overall quality Darjeeling will be hard to find this year. Our advice at the moment is to stock up on the 2017 1st flush Ex11.